Welcome to the Thayer Families Association website! In Memoriam ~ Ralph Clinton (Clint) Thayer Jr., 87, former TFA President, Director and Membership Chairman, passed away on October 23, 2017 at Cobalt Healthcare and Rehabilitation Center, in Cobalt, Connecticut. Mr. Thayer was born on May 9, 1930 in New London to Ralph and Eleanor Thayer. He honorably served in the U.S. Coast Guard, U.S. Navy, and U.S. Air Force. Mr. Thayer attended New London schools and was active in musical activities. At the age of 16, he led a dance band that played at Ocean Beach Park. He attended the Eastman School of Music, where he met his wife, Connie. During the Korean War, he enlisted in the Air Force Band at Sampson AFB, NY, where he spent four years. 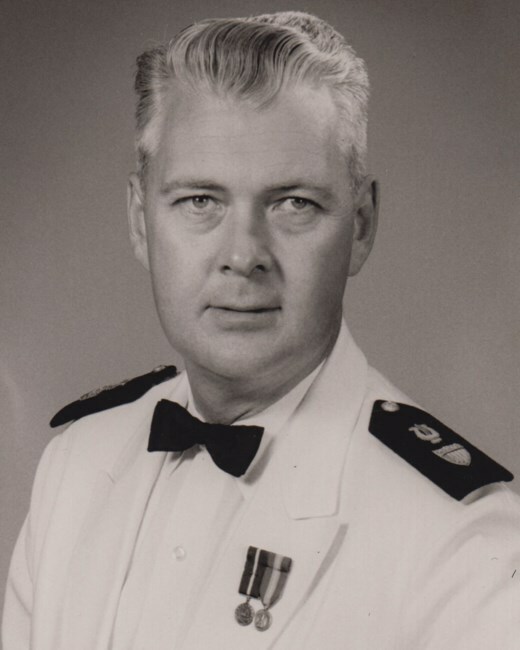 After graduating from Eastman in 1956, he served for 16 years in the USCG Band, where achieved the rank of MUCS. Mr. Thayer taught music in Groton for 11 years and coached many young musicians in the Eastern CT Symphony Youth Orchestra. He performed and conducted extensively, including serving as choir director of the First Baptist Church in New London where he served as deacon and moderator. He was a member of the S.A.R. and active in Masons for many years. A devoted husband, father, and grandfather, Mr. Thayer enjoyed gardening, history, genealogy, and spending time with family. Mr. Thayer is predeceased by his wife, Constance J. Thayer. He is survived by his daughter, Patricia Backes and her husband Clifford of Moodus; son, Ralph C. Thayer III of S.C.; his two grandsons, Peter M. and his wife, Sara McIvor, of N.J., and Christian C. and wife, Christine McIvor, of N.C.; and his great granddaughters Juliette McIvor of N.C. and Claire McIvor of N.J. Calling hours were held on Sunday, October 29, 2017 from 2 until 4 PM at Fulton-Theroux Funeral Home, 13 Lake Ave., Niantic, CT 06357. A memorial service was held on Monday, October 30, 2017 at 2 PM in Flanders Baptist Church, Church Lane and Boston Post Rd., East Lyme. His memorial service included military honors and a Dixieland style funeral procession by the U.S. Coast Guard Band's Dixieland Band....joined by his 35-year-old grandsons on trombone and trumpet. In lieu of flowers, the family requests that donations be made to the Flanders Baptist Church Music Fund, 138 Boston Post Road, East Lyme, CT 06333. Our 2018 Reunion video is in the Members Login section for your enjoyment & we are planning now for 2020! We invite you to browse the site’s new and enhanced features. We have over 25 years of digitized newsletters, a Forum and Photo Archives section. Please note our new website URL is https://thayerfamilies.org that is more appropriate for our mission as a family organization. The former https://thayerfamilies.com will continue to forward to the new address for a while but please change your bookmark and use https://thayerfamilies.org from now on. With members in 46 U.S. states plus Canada, Ireland, Panama and Thailand, the Thayer Families Association welcomes all who have an interest in Thayer families, including all variant spellings. Membership details can be found here. Please check out what we have to offer. We hope you will return to see the additional features as we go forward. Check out our Facebook page for more information about TFA. Just click on the Facebook icon. Click here to check out our Member Benefits and Join Today via our Online Join Feature . 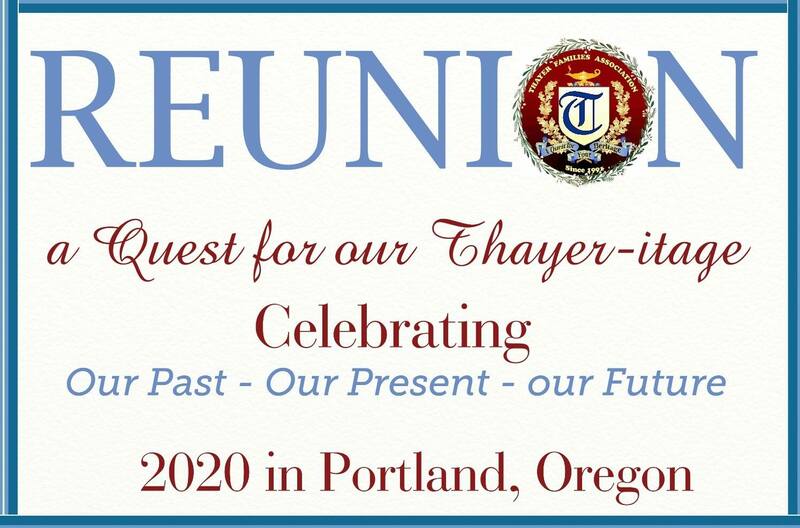 . . You can join the Thayer Families Association online by using PayPal or Credit Card and have immediate access to over 25 years of newsletter archives and other member only features. Or Join By Mail . . . If you prefer joining by regular mail, complete the membership application form available HERE online, download, print and mail it along with your check to TFA. 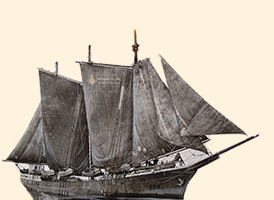 The Speedwell (Left) was a 60-ton pinnace that, along with Mayflower, transported the Pilgrims and was the smaller of the two ships. 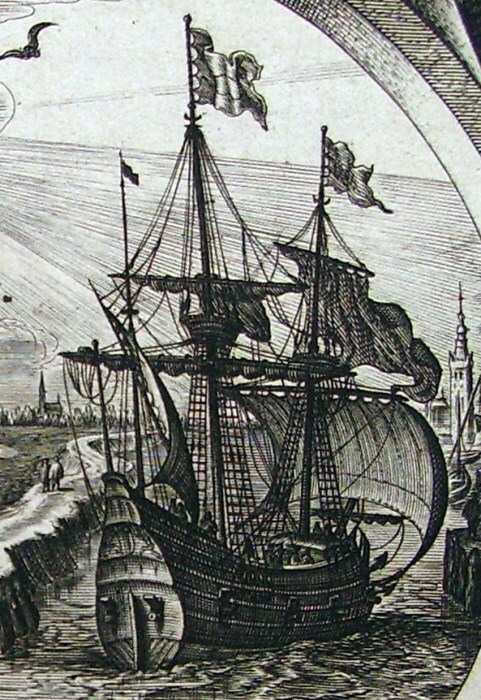 Later, it carried Thomas Thayer’s goods from England to Boston in 1637. Thomas THAYER, son of Richard THAYER, was christened 16 August 1596 at Thornbury, Gloucestershire, England and died 2 June 1665 in Braintree, Massachusetts. The C.A. Thayer (Above Right) was built by Danish-born Hans Ditlev Bendixsen in his shipyard, located across the narrows of Humboldt Bay from the city of Eureka in Northern California. 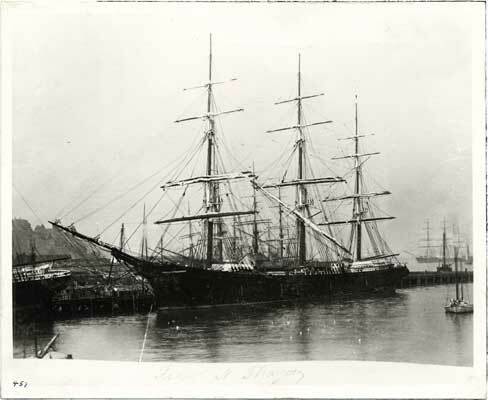 Bendixsen also built the Wawona (1897) which was dismantled in 2009. The C.A. Thayer was named for Clarence A. Thayer, a partner in the San Francisco-based E.K. Wood Lumber Company. Captain Ed Shields motion picture films of the C.A. Thayer on her last codfishing voyage in 1950. Click on the photos below for details or refresh browser for more items! A captain’s brave wife, the burning of the ship Frank N. Thayer, arrival of Capt. Clarke on the Servia & his encounter with the blood-thirsty mutineers. Photo courtesy of San Francisco History Center, San Francisco Public Library. "SAD NEWS REPORT The Thayer Family and the Thayer Families Association has lost one of its most outstanding members. Albert Thayer Morton was born 1 September 1939 in Flint, Genesee, Michigan, the son of Harry Thayer Morton and Marjorie Anna Williams. He sadly passed away at age 77 on 17 December 2016 in Monroe county, NY after surgery. "Al" had been ill for the last several years. He was the grandson of Fannie Estelle Thayer (1879-1961) and Albert Edward Morton. He was my early correspondent from in 1990's and I had nominated him for a position in the TFA and he became Membership Chairman in 1995. He became president of the TFA in 1996, and held that position until 2000, when Ralph Clinton Thayer became president. Al then became president again in 2002. He retired in 2006 due to health issues. 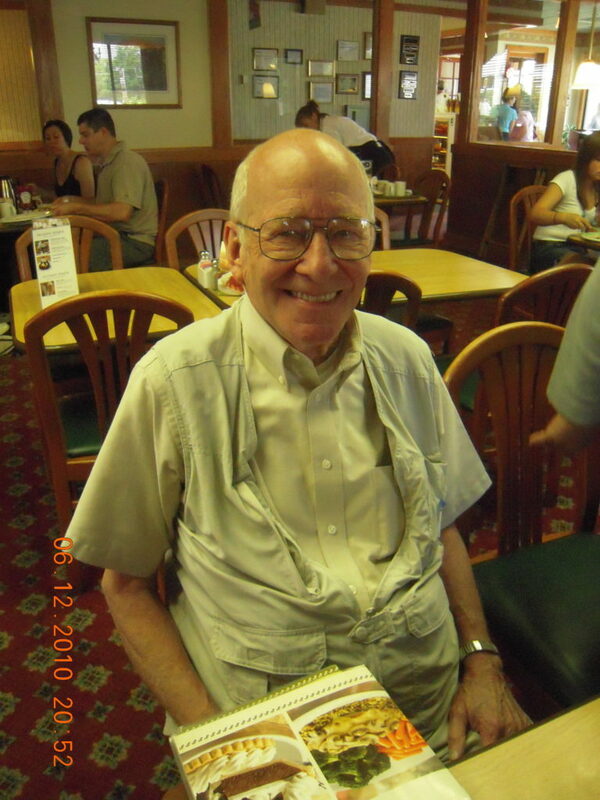 He was among my strongest supporters and had it not been for his efforts and encouragement, I doubt I could have progressed in my Thayer Family History and publishing endeavors without his help. Al helped tremendously in laying the groundwork for the wonderful association that we enjoy today. Al's lineage: Albert Thayer MORTON 11 (Harry Thayer MORTON 10, Fannie Estella 9, George Washington 8, Artemas 7, Asahel 6, Jonathan 5-4-3, Ferdinando 2, Thomas 1) THAYER On behalf of all the entire Thayer family, we owe you a tremendous debt of gratitude. We love you Al and will miss you. Until we meet again - Patricia"
The C. A. Thayer is a wooden-hulled, three masted schooner with a long and colorful history. 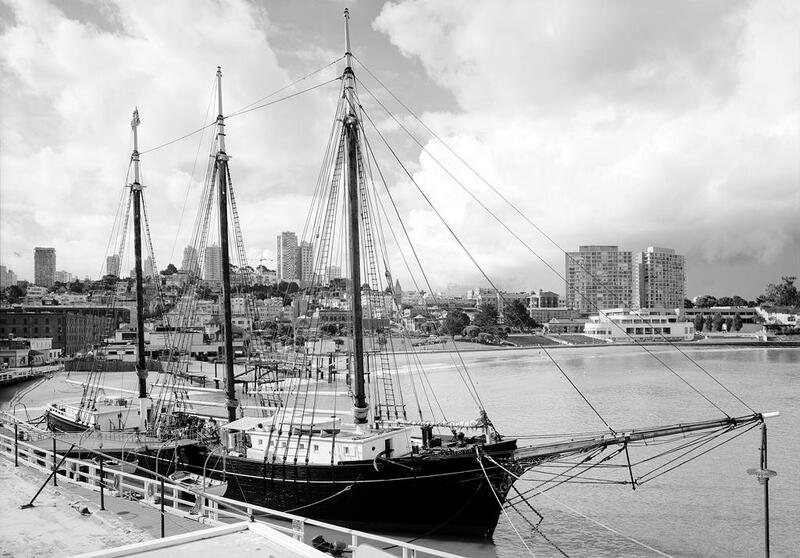 The last of her kind afloat on the West coast, the C. A. Thayer has hauled lumber, fish, coal, and war materials. She has survived 2 near sinkings and at nearly 100 years old requires much work to prevent her loss to wood rot.